This Thai Hill-tribe silver band fits close to the wrist. 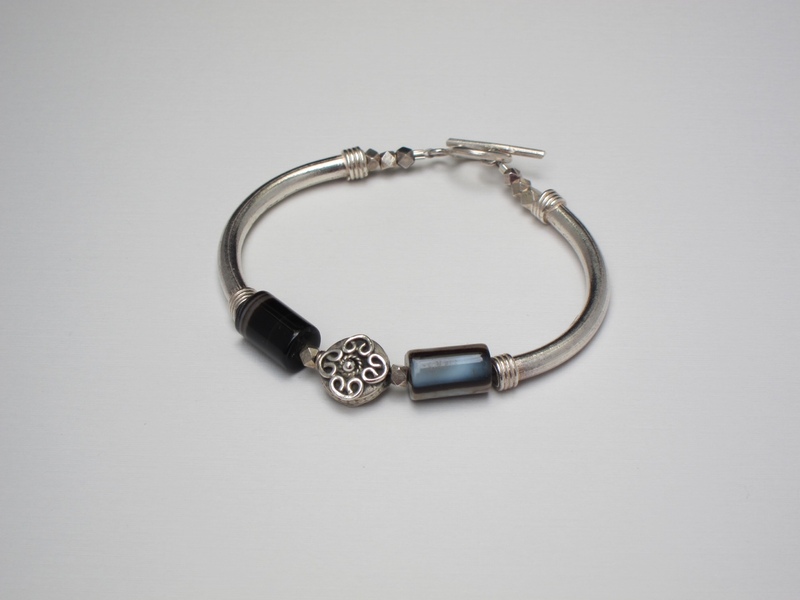 The tubular Zebra Agate is a wonderful contrast and is joined with a sterling silver toggle clasp. Approx. 7 1/2″ L.
SKU: KD-B 54. Category: Bracelets. Tags: handmade, thai silver bands, zebra agate. ©2015. Kanita Designs. All Right Reserved.